We tend to take our blue as blue skies for granted here, especially in mid winter or early spring as it is now. 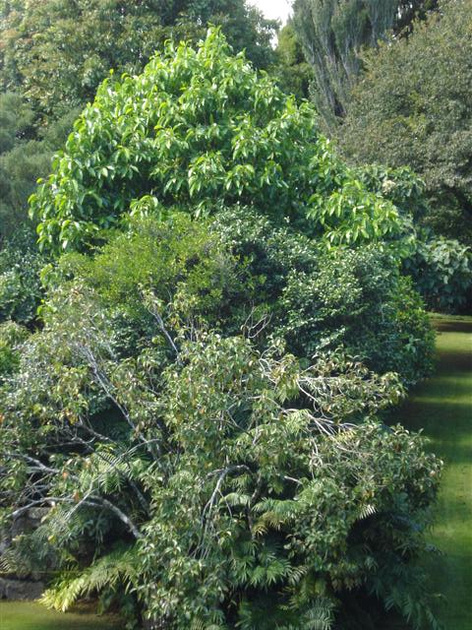 New Zealanders also tend to take red magnolias for granted, not realising that the sheer intensity of colour we can get here is unsurpassed elsewhere and that most of the breeding of red magnolias has taken place in this country – in fact much of the work was done in this very garden here – Jury Magnolias charts the journey. This entry was posted in Tikorangi notes and tagged Black Tulip, Jury magnolias, Magnolia Felix Jury, New Zealand magnolias, red flowered magnolias, red magnolias, Tikorangi: The Jury garden on 23 August 2010 by Abbie Jury. If you have deciduous magnolias which have flowers on them, this is not some freaky abnormality. It is all in the parentage. Some varieties repeat flower in summer. This second flowering is but a shadow of the early spring display but it is a bonus. Black Tulip has had particularly good, dark flowers this summer but proved too difficult to photograph. Naturally you will be attending to your bearded irises, as per today’s Outdoor Classroom. Just make sure that the replants don’t frazzle if we get a run of sunny, dry weather. Some readers may have seen the media coverage of the unfortunate arrival of the hadda beetle which so resembles the charming lady bird. In fact the potato and tomato psyllid that we referred to two weeks ago is already here, established and wreaking havoc. The psyllid attacks all solanums which includes tamarillos, cape gooseberries and capsicums. Sudden, unexplained deaths in any or all of the solanum family (which includes a range of ornamentals too) may indicate a psyllid presence. In the short term, worry more about the psyllid than the hadda beetle especially for those who prefer to garden organically. Garden centres should all be able to offer advice on controls but there is no simple answer to effective management of the psyllid. Spring bulbs in the garden are starting to show white roots which means they are breaking dormancy. If you were planning to lift any congested clumps of daffodils or the like, get onto the task without delay. In the vegetable garden, thoughts are turning to planting for winter. The idea is that most plants do their growing while temperatures are still warm and then they hold in the garden through winter so you can pick them fresh. So you can be sowing parsnips, carrots, dwarf beans and brassicas now for winter harvest. If your garlic harvest this year is poor, take heart. You are not alone. The wet and cold November and December probably did not help. Pinch back cucumbers, melons, courgettes, pumpkins and similar spreaders to keep them under control and to encourage fruit set. Tender pumpkin tips are delicious to eat, as are stuffed courgette flowers, if they are not infested with white fly. I have never seen any merit in the fruit of chokos, but we have always enjoyed eating the tender tips when lightly steamed as a fresh green. The rains this week and the warm, humid conditions means that the weeds will be growing and spitting out seed even as you turn your back. Ignore these at your peril. 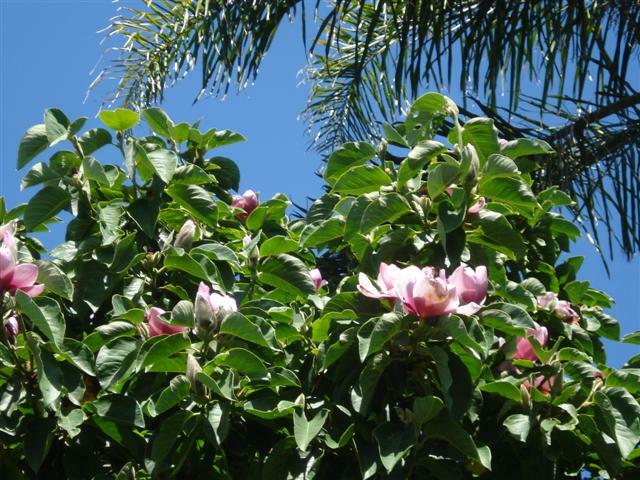 This entry was posted in Seasonal garden guides and tagged Abbie Jury, Black Tulip, garden diary, garden tasks, in the garden this week, summer flowering deciduous magnolias on 5 February 2010 by Abbie Jury. Mark Jury is one of this country’s foremost breeders of ornamental plants, and in recent times he has received international recognition for his achievements. Mark was born in 1951. He graduated from Massey University in 1974 with a BA in psychology, and could well be the only person with such a qualification in the NZ nursery trade. Early plans for a career in counselling changed, and he took time out to be a rock drummer (he still has his drum kit), to teach himself to draw and paint, and to make a living as a wood turner before deciding to set up a plant nursery on his father’s property at Tikorangi. The late Felix Jury is one of the most esteemed plant breeders and horticulturists this country has produced. Felix was a farmer who took early retirement to garden and breed plants, and the numerous outstanding hybrids he produced are now internationally acclaimed. The nursery, however, is entirely Mark’s effort, one that he ‘built up from one wheelbarrow’. Contrary to popular belief, Felix never had a nursery. Despite having no formal training in horticulture, Mark learned enormously by working alongside his father for 17 years. He also benefited greatly from having access to Felix’s plant material, and from being able to tap into the wealth of knowledge and experience that Felix freely shared. His uncle Les Jury was also an early mentor, particularly in the breeding of camellias. The nursery, however, has only ever been a means to earn a living for Mark, who claims he is not a dedicated nurseryman. Rather, it is plants and the garden that matter to him, and when breeding plants his quest is invariably to produce better garden subjects. No new plant is ever released by Mark until he has full confidence in all its attributes. Trialling is an integral part of the breeding process, and new hybrids are grown in the field or the garden, as well as the nursery, to assess their performance over a number of years before they ever get put into production. ‘Fairy Blush’ is regarded by Mark as the best of his camellia hybrids currently on the market, followed by ‘Volunteer’. ‘Jury’s Pearl’, however, is the one which brings Mark most pleasure because it achieved what he was looking for; compact growth, abundant flowering over an extended period, healthy foliage, good flower form and an almost luminescent flower colour. He has named a number of others, including ‘Gay Buttons’, ‘Pearly Cascade’, ‘Topiary Pink’, and ‘Apple Blossom Sun’. Two promising new selections yet to be released are a compact and very free flowering red formal double, and a purple pompom flowered miniature. ‘Floral Sun’ is Mark’s pride and joy. When he told his wife Abbie that he was crossing Rhododendron sino nuttalli with R. ‘RW Rye’, she recalls quipping that he would probably get offspring which were a mass of tiny white flowers and no scent. Instead he did get the yellow colourings into the nuttalli trumpets, compact growth and nuttalli foliage. He has also named ‘Floral Gift’, ‘Meadow Lemon’ and ‘Platinum Ice’, and has various others under consideration. Mark specifically strives for healthier performance, resistance to thrips and where possible fragrance. The new ‘Burgundy Star’ could prove to be the best Mark has produced. 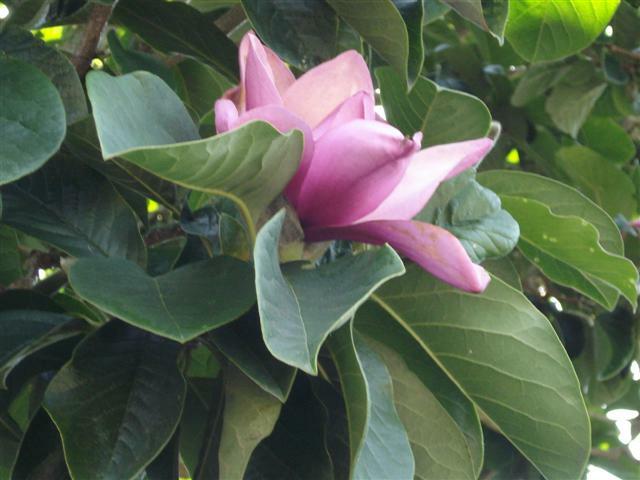 It ‘loses the purple tones’ of ‘Vulcan’ and ‘Black Tulip’ and is described as carrying a very large Magnolia liliifora type flower on a fastigiate tree. ‘Black Tulip’, however, is the cultivar that has caught the imagination of the market place, while ‘Felix Jury’ is his personal favourite. Mark thinks he may have exhausted what he can do with red flowered magnolias, but he has some pinks and whites under trial. 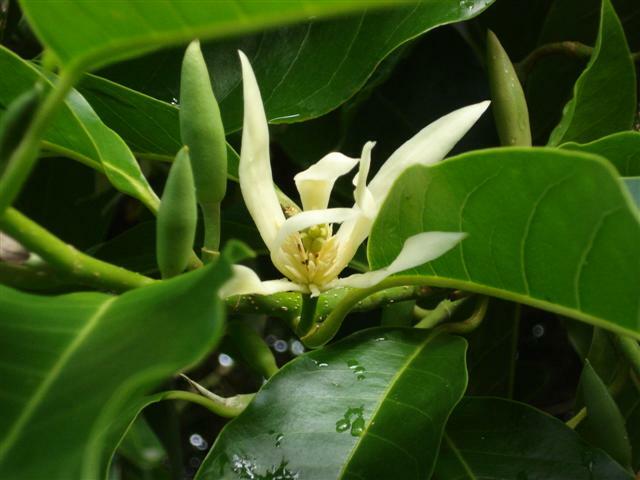 In 2004 the International Magnolia Society conferred upon Mark the prestigious Todd Gresham Magnolia Award. ‘Jaffa’ and ‘Sweet Vanilla’ are regarded by Mark as probably the best cultivars he has yet named, although he has produced quite a few others. These include ‘Sherbet Rose’, ‘Peach Puff’, ‘Jellybean’, ‘Mango Sunset’, ‘Pink Jazz’. Sadly some of the others have already been dropped from production. Despite fairly rigorous trialling, when in production some are considered to be too vulnerable to root problems. ‘Festival Ruby’ is scheduled for release later this year for the 20th anniversary of the Taranaki Rhododendron Festival. Part of the vireya rhododendron breeding programme has focussed on trying to get full trusses reminiscent of the hardy rhododendrons, whilst also aiming for compact growth, fragrance and abundant flowering. A range of unreleased new hybrids is currently generating great excitement and anticipation amongst those who have seen them. This series extends the colour range of the flowers, growth habits, foliage and flowering season. Mark is optimistic of a great future for these, seeing them fitting a market niche similar to camellias but without most of the problems such as camellia petal blight and yellowing of foliage. The first two cultivars from this series are scheduled for release next year. ‘Red Fountain’ is a hybrid produced by Felix, while Mark introduced it. The next generations of Mark’s cordylines are currently under development. Dianella ‘Golden Chance’ (so-named because it was a chance discovery) seems to have entered the marketplace with ‘a bit of a whoosh’, somewhat to the surprise of Mark and Abbie. Mark often ‘plays’ with other plants to produce even more high quality garden subjects. His Arisaema hybrids are regarded as particularly fetching, extending the colour range and holding their blooms above the foliage, but sadly they are unlikely to enter commerce. Unfortunately for gardeners, the same applies to a number of other plants that he ‘wields his paintbrush around’. It is appropriate that the Institute recognises Mark Jury for his considerable contribution to amenity horticulture. He is a most worthy recipient of the Plant Raisers award. This entry was posted in Stop press and tagged Black Tulip, Fairy Magnolia Blush, Felix Jury, Jury magnolias, Magnolia Black Tulip, Magnolia Felix Jury, New Zealand magnolias, red flowered magnolias on 17 June 2007 by Abbie Jury.